As we look back at the last 19 years of sales and volume tracking in Steamboat Springs, it's clear to see that our market is once again strong. 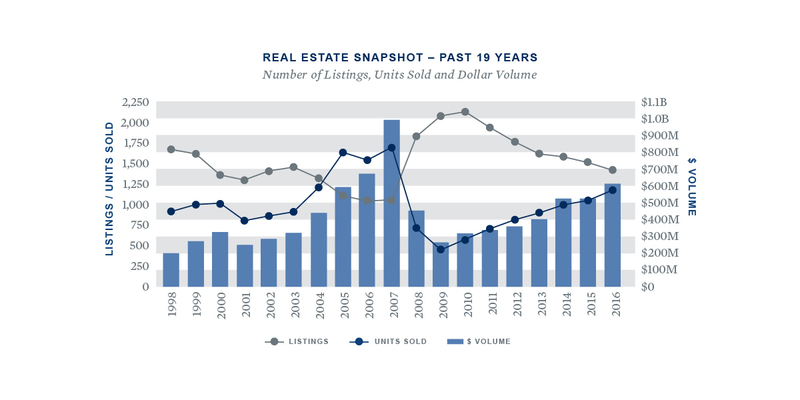 In the graph below, you'll notice that inventory for sale has been steadily decreasing and the number of units sold has been increasing since the market slump in 2008. Total dollar volume sold has been on a gradual increase since 2009 and this year's market is showing a boost from last year (2016). 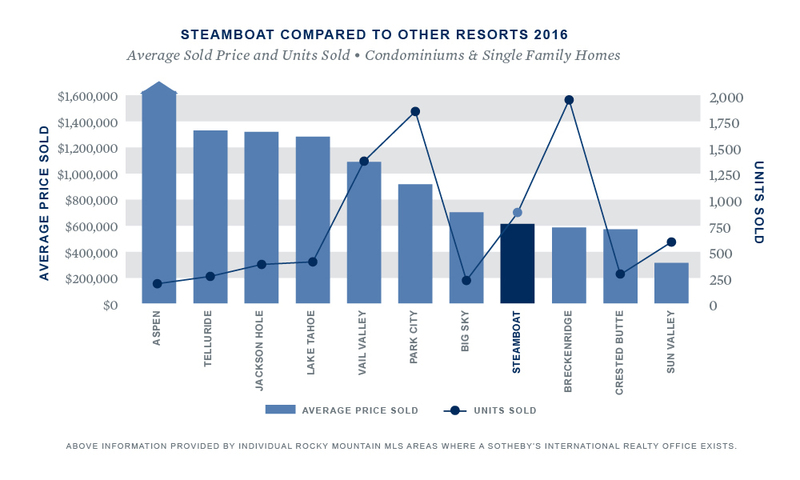 Compared to other resort towns across Colorado, Steamboat Springs remains an affordable area to purchase real estate. Steamboat mountain area condos combined with single family homes and other property in the area averages around $600,000. That makes Steamboat more affordable than over 60% of other resort towns analyzed.